Life on another planet. 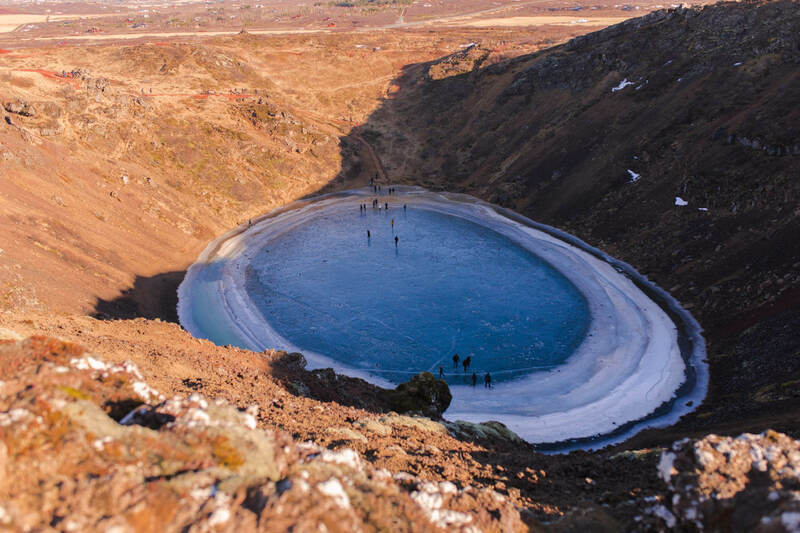 It's time to plan YOUR Iceland road trip! Apparently you don’t need to take Richard Branson’s rocket into outer space to experience life on another planet. 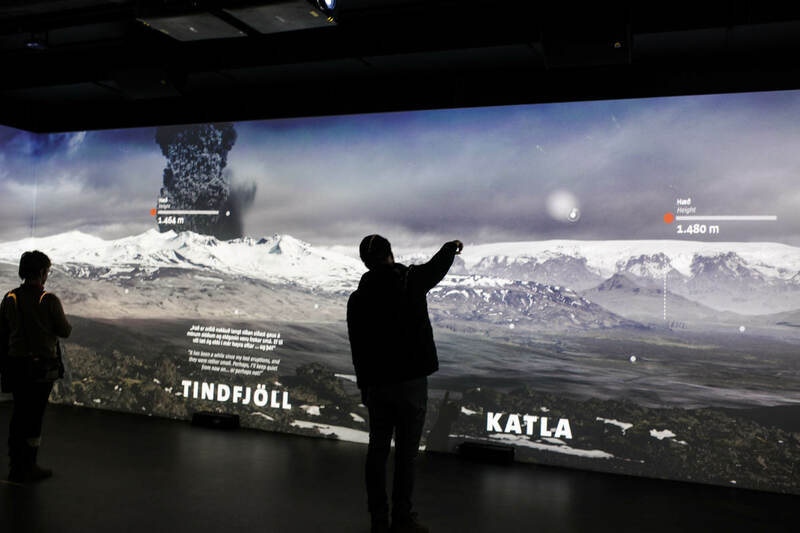 First Burning Man and now Iceland? 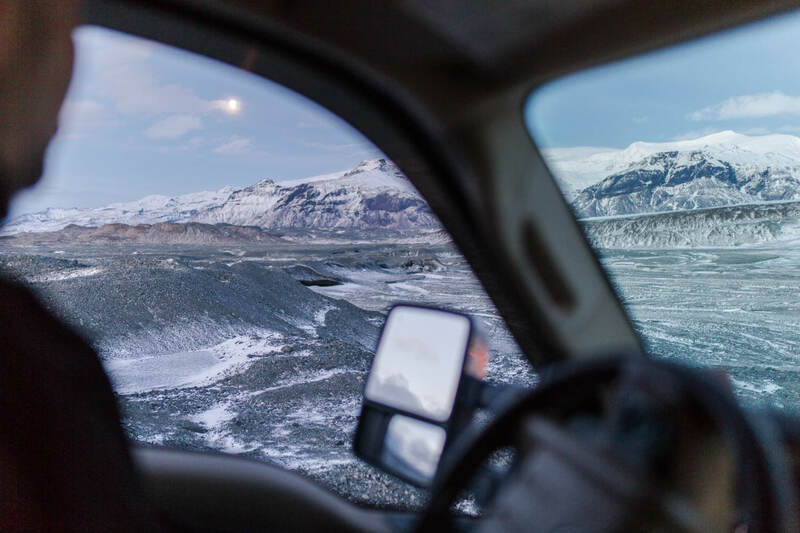 As you’ve probably already guessed from the title of this blog post, I’ve just got back from Iceland where I spent 5 days roadtripping in a Happy Campers van with three of my friends who were venturing over this way from Vancouver, Canada. Make sure you check out my wonderful friend Jordan’s photography either on Instagram @joordanrenee or https://www.jordandyckphotography.com. Some shots in this post (of me) were captured by her beautiful vision and I know that if you love my stuff, you will too love hers. 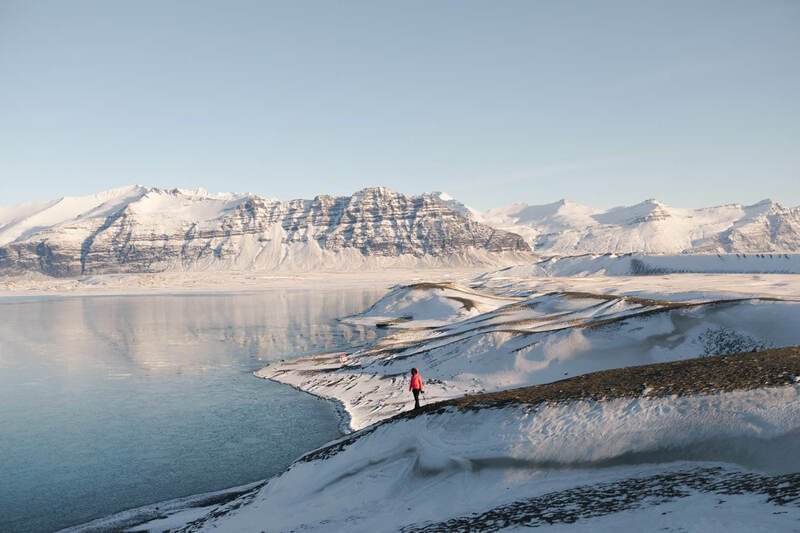 Our Iceland adventure now officially goes down as one of my favourite adventures ever. 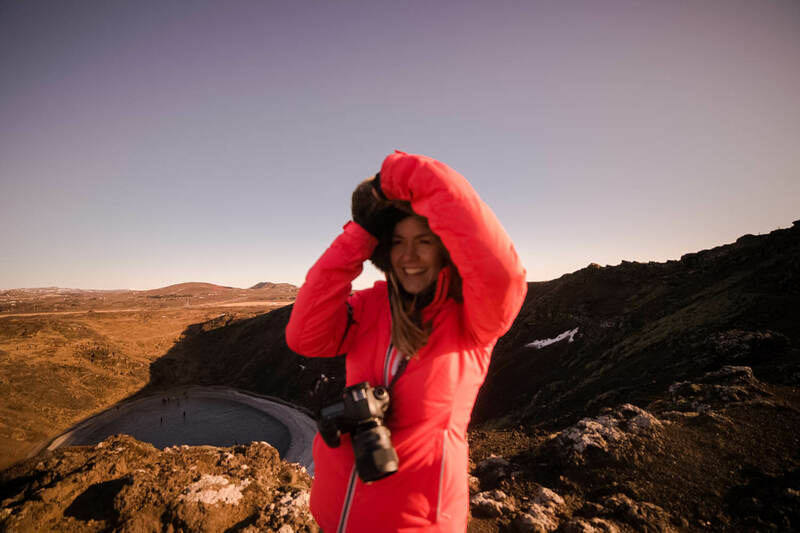 Not only because of its other worldly landscapes or it’s insane volcanic terrain but because it wasn’t a ‘work trip’ for me. 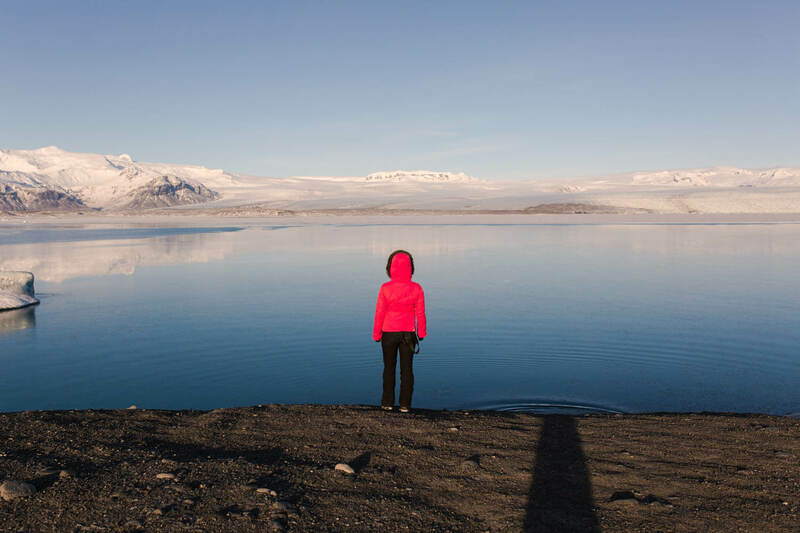 I had the freedom to enjoy Iceland as I desired. I wasn’t distracted by the deliverables of a campaign, by the storyline of a video or by a requirement to post online at certain times of the day. Of course I got my camera out (it’s pretty impossible not to here) but it was on my terms. We woke to the sunrise peeping through the curtains in the van. We brewed coffee on our camp stove with Glaciers surrounding us. We drunk wine and played cards. We soaked in hot springs until we were hungry for lunch. We snapped photo after photos of each other as they sky went from shades of pink and purple to hot orange as we lost the sun to the horizon. And we snuggled up in sleeping bags next to eachother for warmth, already eager to wake for more adventure. If that isn’t happiness, I don’t know what is. Of course I can’t go on an epic trip of this kind and not share it with you. 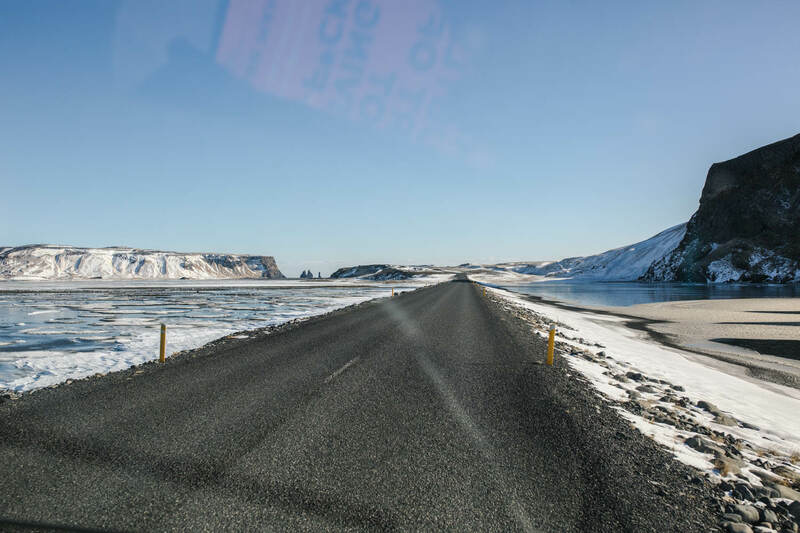 Even though it wasn’t work, I love creating travel guides so i’ve put together this guide to planning a roadtrip in Iceland based on not only what I did, but also the treasures I heard about along the way. Firstly, where IS Iceland? Why should it be your next destination? 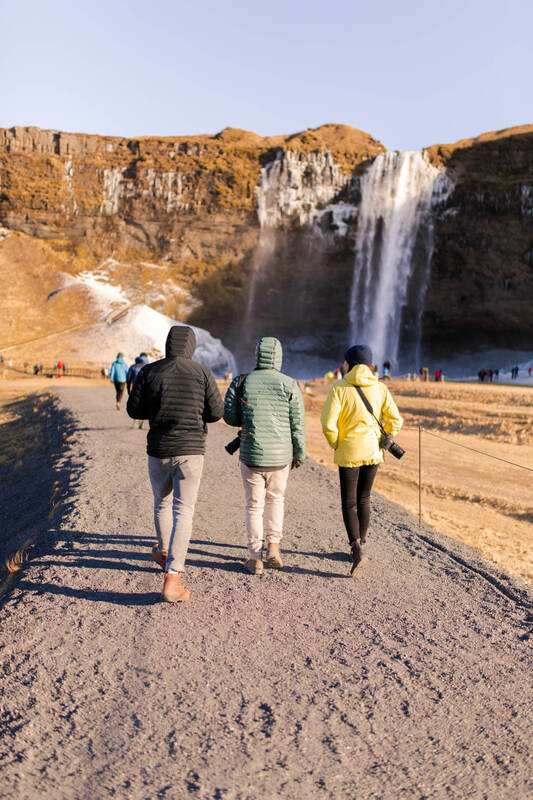 Iceland is a nordic island located in the North Atlantic that shares the same time zone as the UK (it’s located slightly north-west of the UK on the map) and is home to some of the most unique landscapes in the world. Iceland’s capital, Reykjavik, sits on the south west of the island and is where the majority of the population reside. 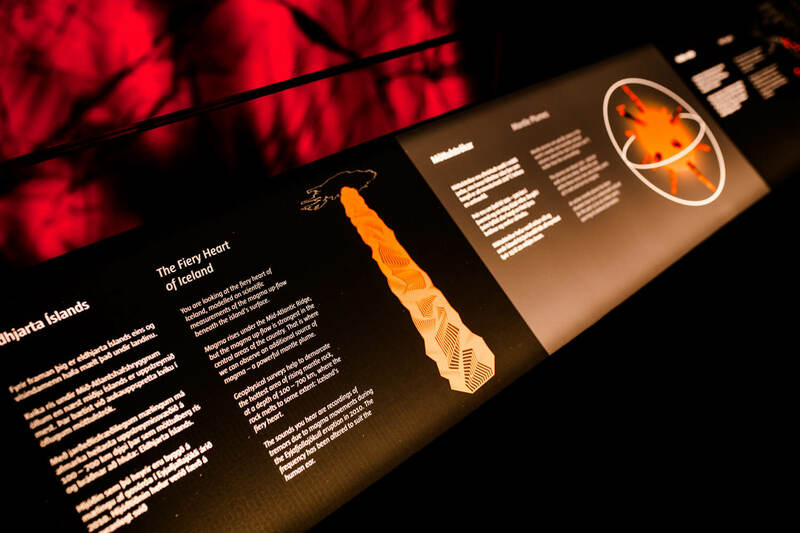 Fun fact: Reykjavik runs on geothermal power! 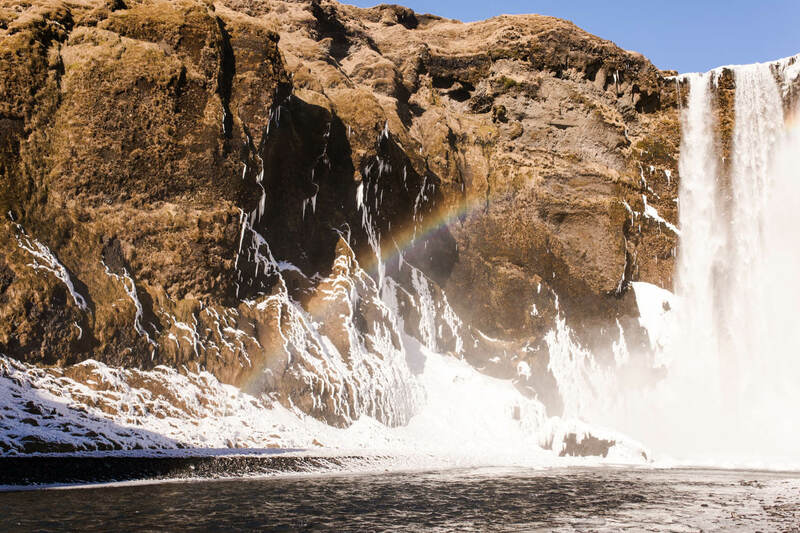 Iceland has been shaped by multiple forces gifted from nature nature which have, together, created one of the most unique destinations in the world. 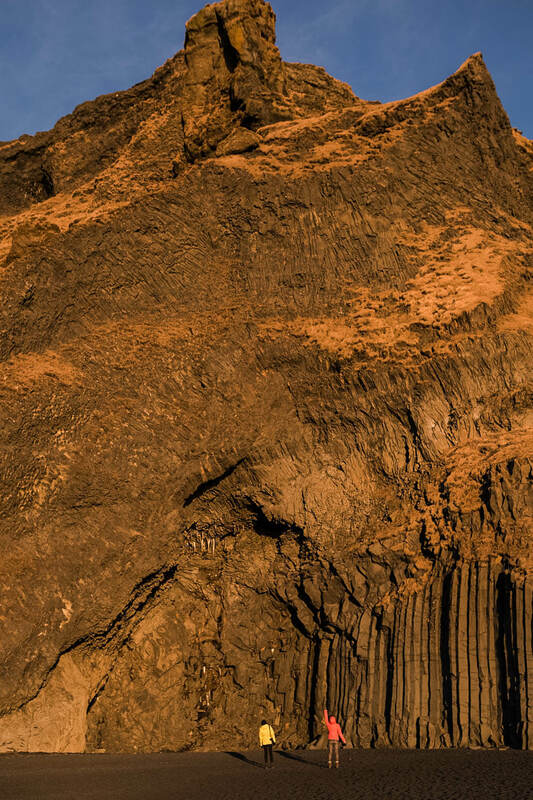 Not only will you not go 5 minutes without spotting a roadside waterfall, glacier, mountain range or cliff edge but you have the opportunity to dig deeper into the fascinating geographic history of this island through one of the many museums. 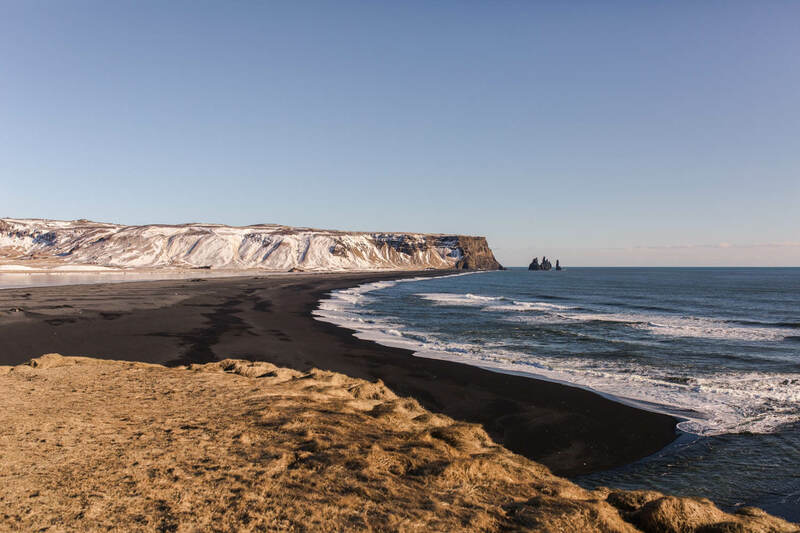 Fun fact: Did you know Iceland is the third windiest place on earth? First of all y’allll need a roadtrip mobile. We hired our camper from Happy Campers! Whilst our camper was certainly not discreet (bright yellow incase you missed it) it made sure we never lost it in a parking lot and actually made for a good colour pop when getting that shot. No seriously, I was really impressed with our camper. It comfortably slept four, it had heating, we were able to stand up in it, we cooked in it and it also had amazing WIFI. Of course you don’t need it but for those long drives it meant I could catch up on emails and stream those hot spotify playlists. It also meant we could google our route and source shop closing times along the way. 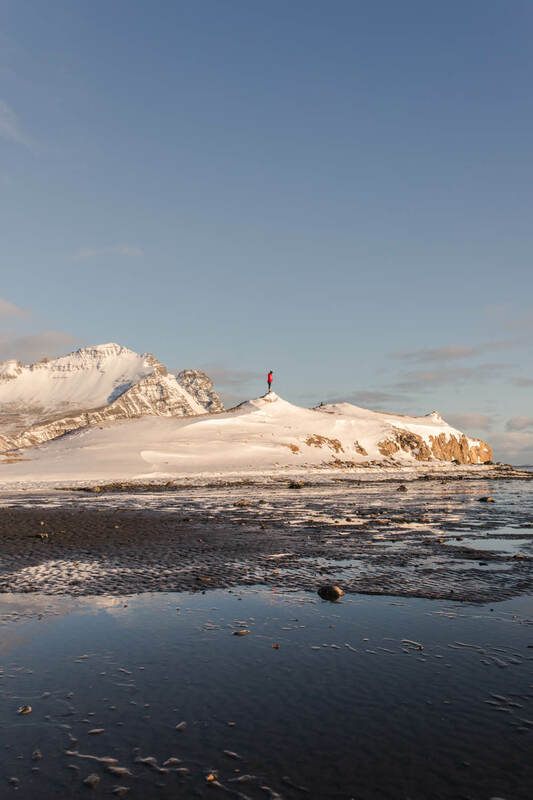 The main airport in Iceland is Keflavík (KEF) in Reykjavík located on the south west of the island. 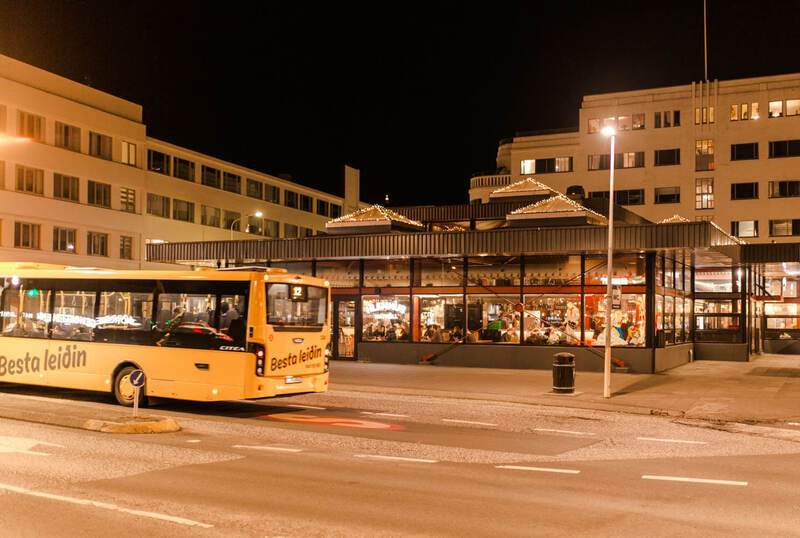 Reykjavík is a small city and the only urban surroundings we experienced during our whole trip. 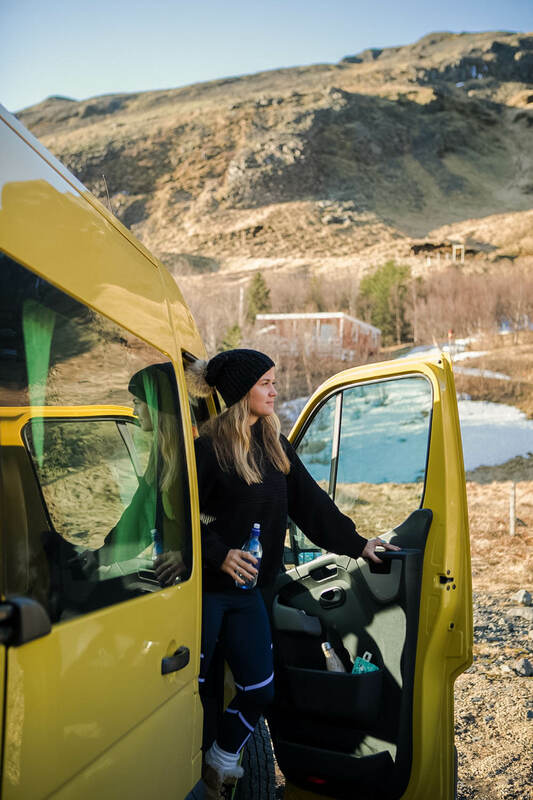 Reykjavík is a great place for you to pick up any extra layers you need, to fill up the fridge in your camper and of course, pick up your camper. 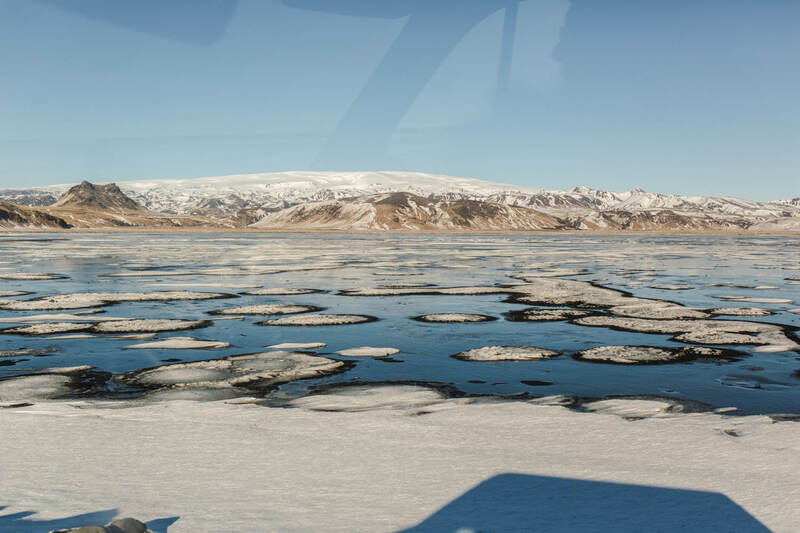 Most of the tours and routes you’ll hear that people take in Iceland centre around ‘The Golden Circle’. 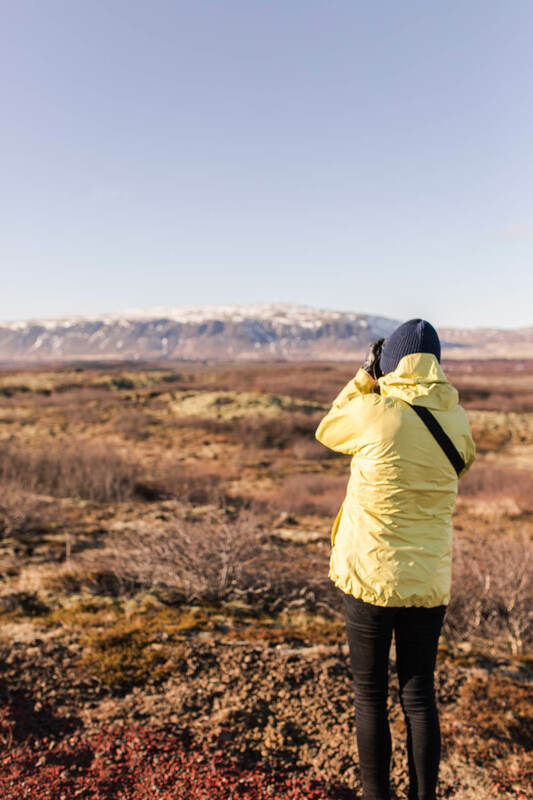 The Golden Circle is a loop of around 300km from Reykjavik up the east coast of the island and covers most of the hotspots that i’m sure are already on your bucket list. The abandoned plane? 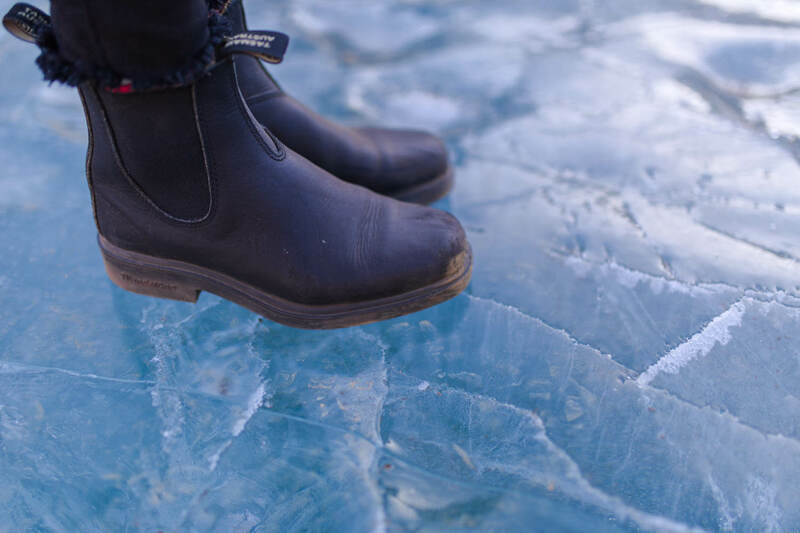 Glacier Lagoon? Blue Lagoon? 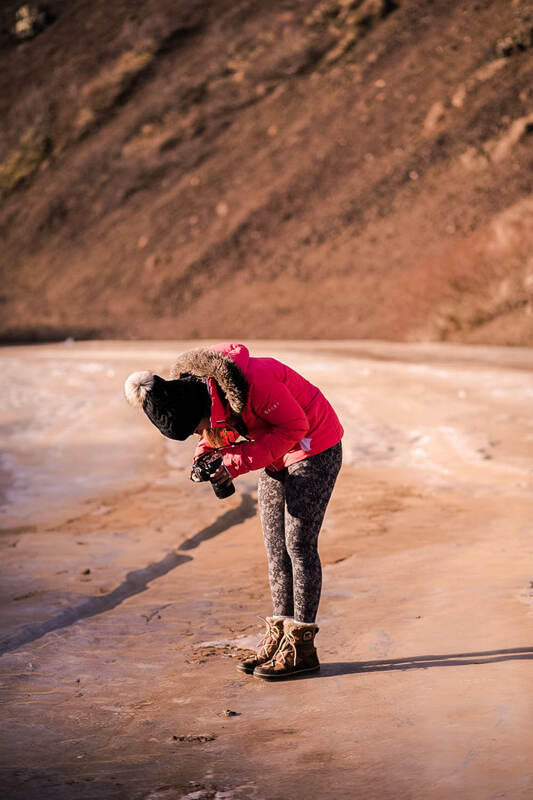 Reynisfjara beach? 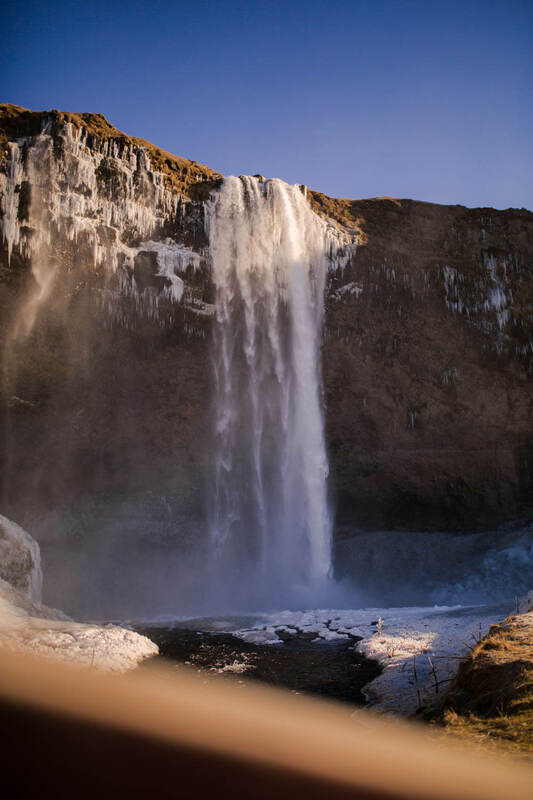 Skogafoss waterfall? Yup, they’re all along it. Most people drive up to Hofn before turning round and heading south again. With this navigation it’s pretty sweet because you don’t need to worry about seeing everything on the way up or about missing things. 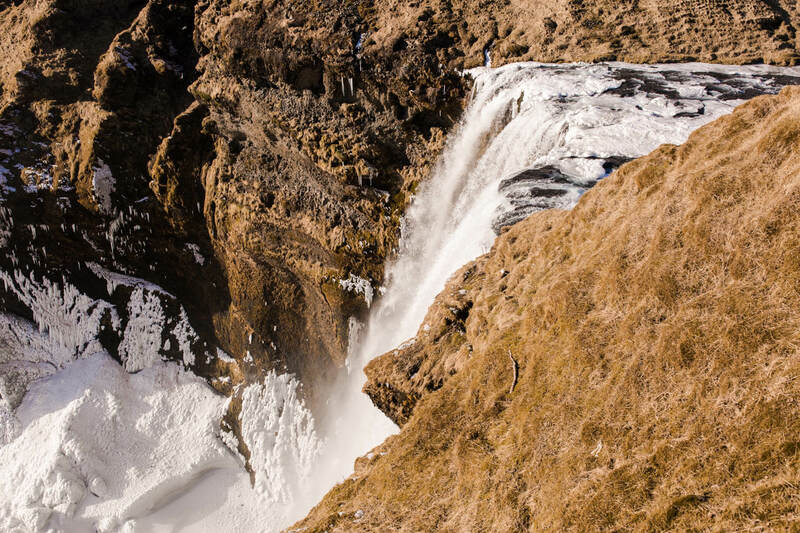 If a waterfall happens to be super busy when you turn up, you can always come back en route back to Reykjavík. Super chill! I absolutely loved how open the roads felt in Iceland. I loved that once you’ve left Reykjavík and until you returned, there were close to no traffic lights in sight. I don’t remember seeing any housing estates or villages and the properties I did see were spaced out. It was an unusual but refreshing sight. 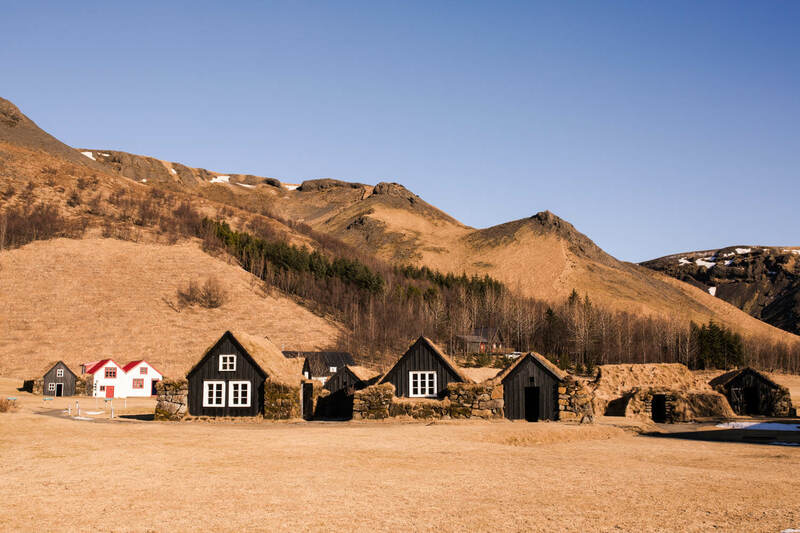 It took me a day or so to work out what was so different here in Iceland, apart from the towering mountains, glaciers and waterfalls at the side of the road, but then it clicked. There are hardly any trees at all gracing the landscape. To witness hundreds of miles of landscape in a light that seemed untouched by man was purely magical. 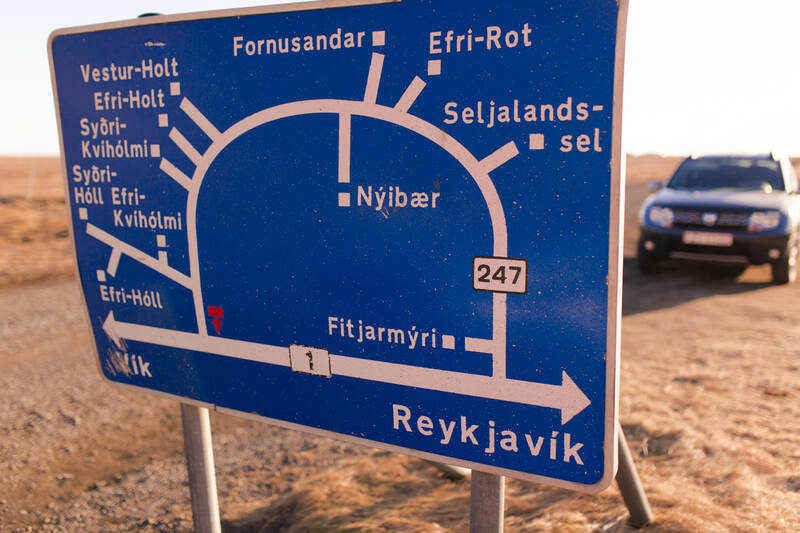 Navigating your way along the Golden Circle route is pretty straight forward, there’s one main road to follow and then optional signposted roads that veer off for your choice of adventure. 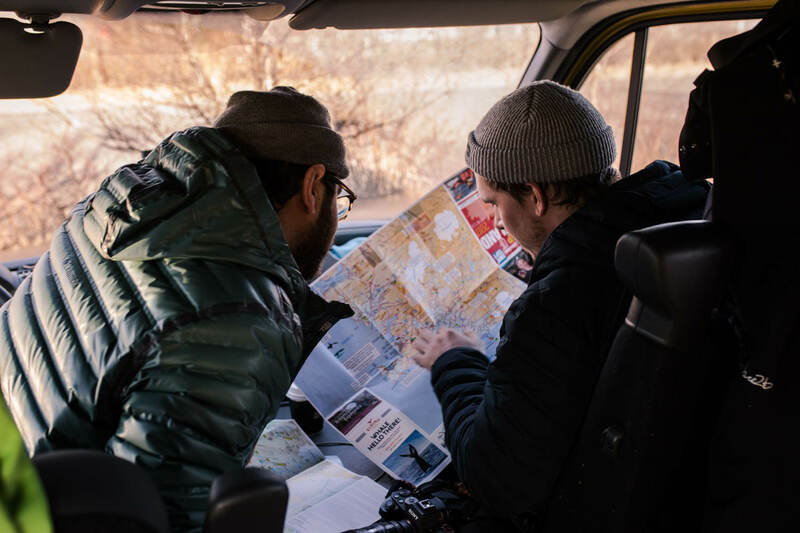 To be honest, you don’t even need to go crazy on planning an exact route, the route allows you to cruise in a completely carefree fashion. Unless of course your super pushed for time and have a heavy bucket list (usually me). There are of course other routes to take but I can’t talk from experience. My friends arrived a few days before me and explored the Snæfellsnes peninsula which they said was, incredibly windy but, stunning. 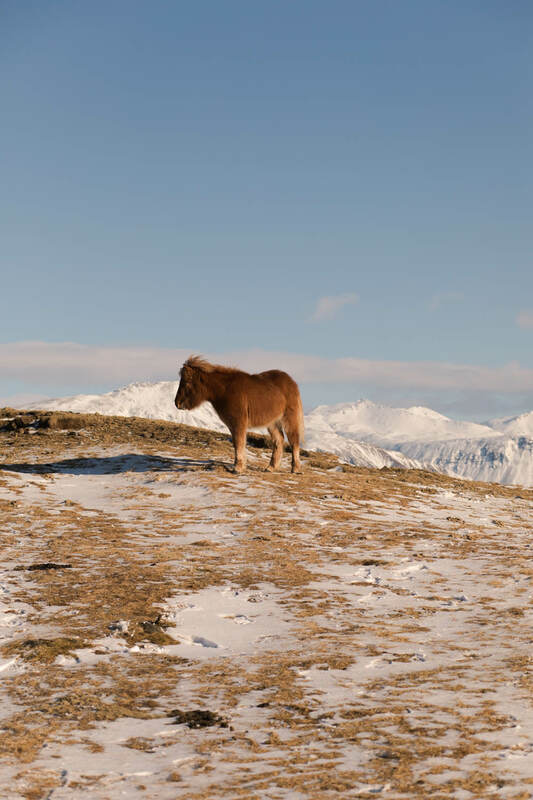 Top tip: Iceland really isn’t built up in terms of shops and stores once you’re out of the capital. Think ahead for things like filling up petrol, buying alcohol and food and shopping. Shops can often shut early (6-7pm) and there aren’t an abundance of them to choose form. 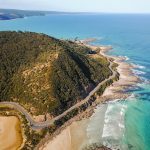 Finding campsites… Where can you park? 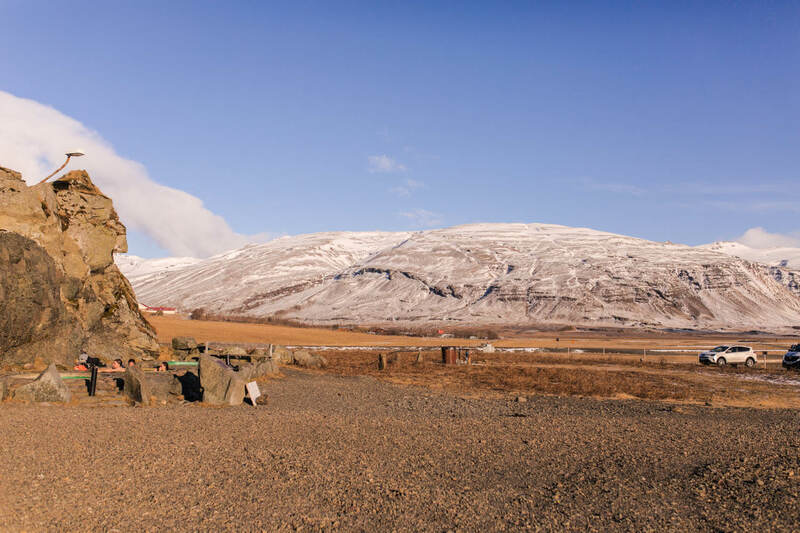 There are over 170 equipped and registered campsites in Iceland for you to park up and rest in, all often with 360 panoramics of the insanely beautiful country. 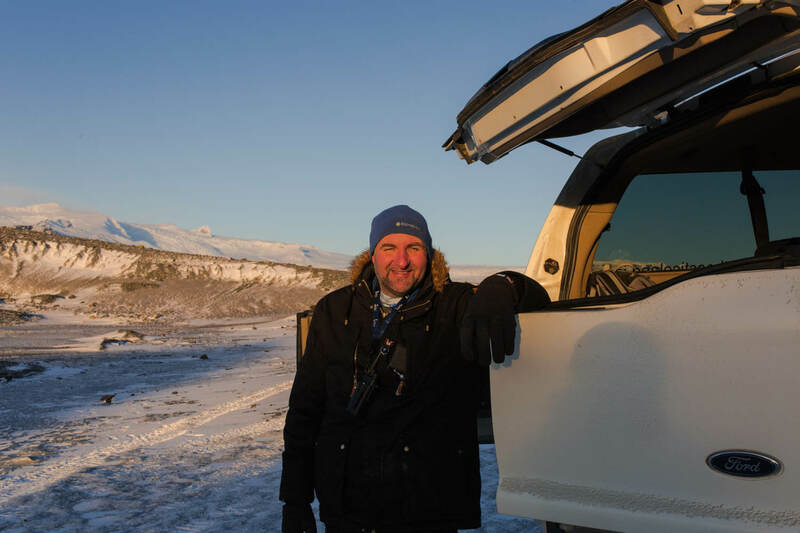 With conservation always at the top of Icelands agenda, it is highly recommended that you use these designated campsites to preserve the landscape for years to come. 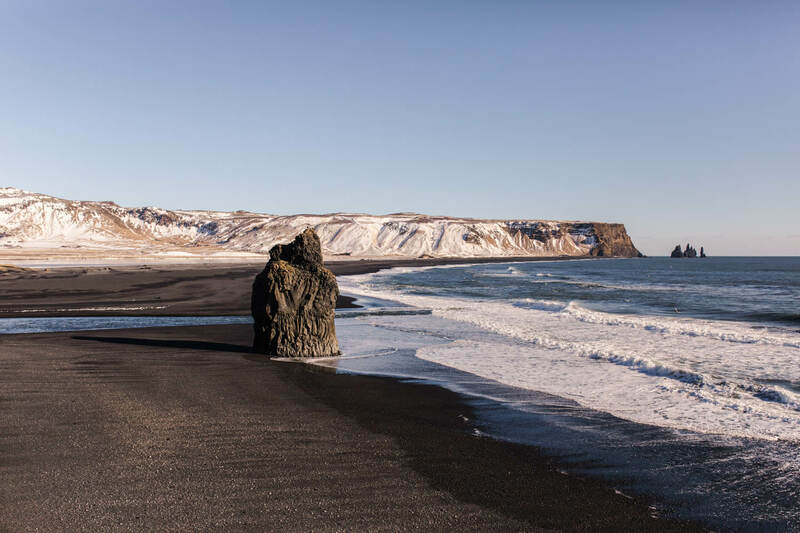 Iceland truly is the roadtrip destination of absolute dreams and I wouldn’t hesitate at all about returning. Remember everything mentioned below is pinned on the google map above! On day one of our roadtrip I landed in at 11pm to Keflavik airport so we simply parked up near the lighthouse, played a game of Monopoly Deal and snuggled up for the night. The following morning we filled up with petrol at the Shell garage in Hveragerði which sits on a little complex of shops. We used the bathrooms inside the mall to freshen up (haha gypsy life) and then grabbed some coffees from Almar Bakeri next door to go with our camp stove breakfast of eggs. This location is also a great place to do your food shop. They have a big selection of fresh vegetables, tins, meats and vegetarian options! I spent £25 and got stuff to keep me going for four days, a considerable amount cheaper than eating out. 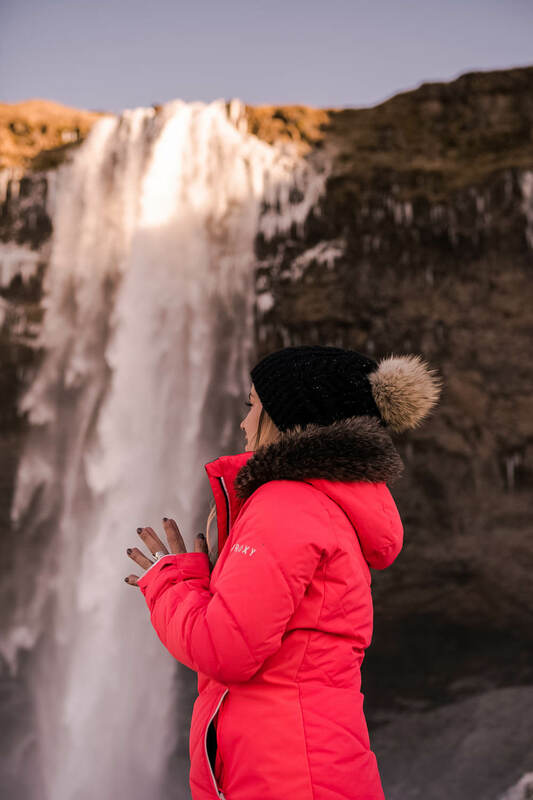 Stay tuned for my budgeting guide and top tips for saving money when travelling Iceland! 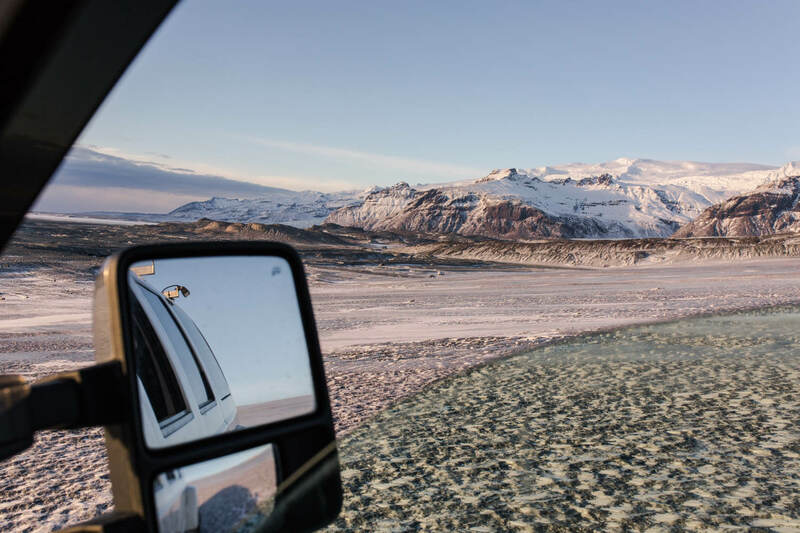 This morning we woke at 6am for a pretty special Ice Cave tour setting off from the Glacier Lagoon car park – the meeting point for all the 4X4 guided tours that will take you over the glaciers and icy terrain. 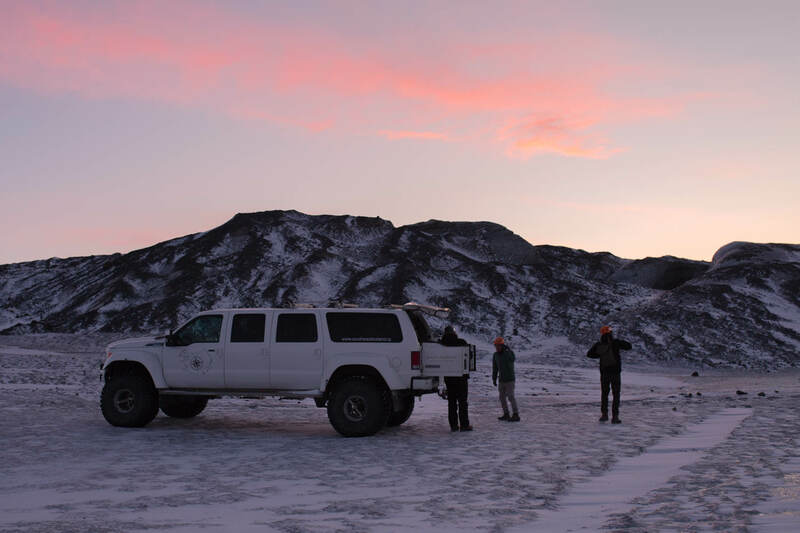 The 4X4 tours here are a huge tourist attraction in the winter with over 14 tour companies sending groups out over the delicate, ever changing landscape. Most tours start around 8/9am and continue throughout the day, each lasting around 2 hours and always with an experienced guide. The landscape is changing rapidly and only with the knowledge and training these guys evidently have of the area would you be able to safely navigate through it. 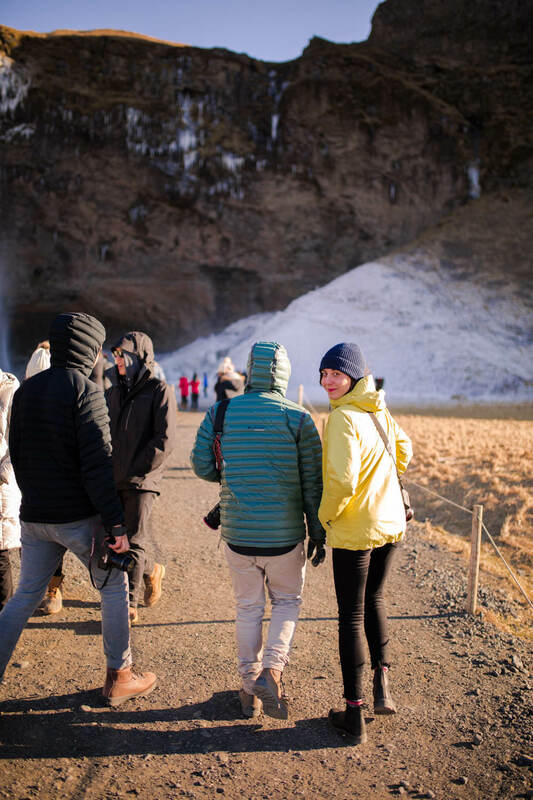 Siggi runs daytime tours but also runs private tours before the competing operators begin their schedule which allows you to experience and shoot the caves with no one else there. 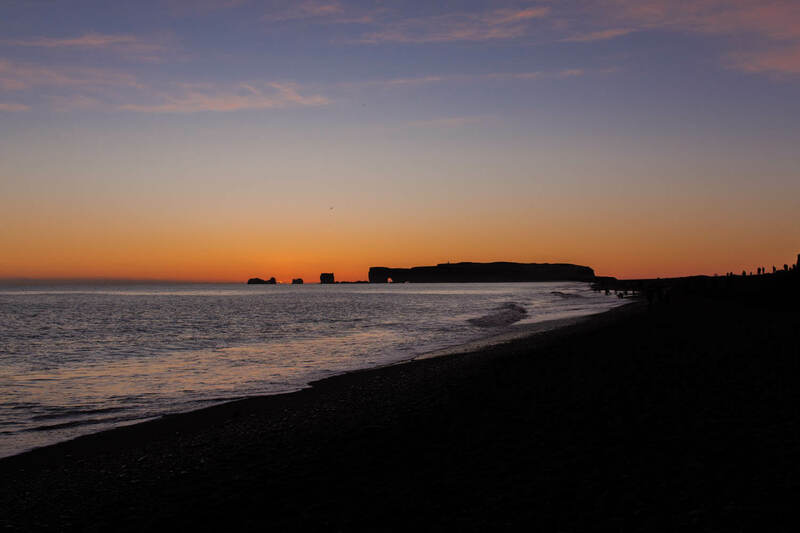 Perfect for the avid photographer (like us) and a magical sunrise adventure. Note: The caves are completely in the hands of nature and what you see will completely depend on the weather and when you go. Unfortunately when we visited, the biggest cave (Crystal Ice Cave) was filled with water so we went to Anaconda caves instead. 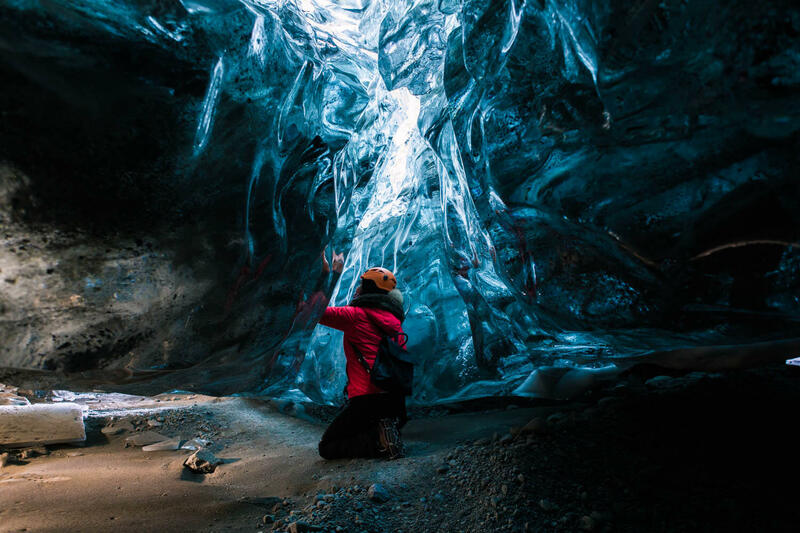 Again in the hands of nature, Ice Caves don’t last forever. 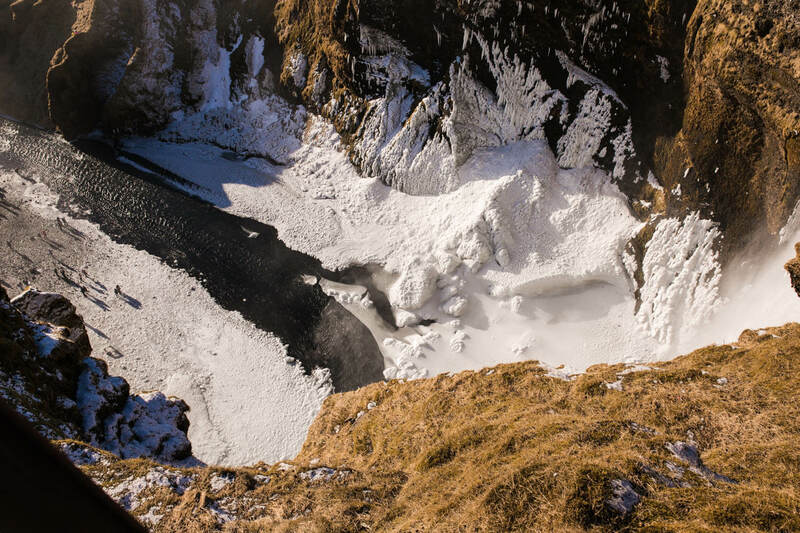 The famous Black Diamond cave collapsed back in July 2017. 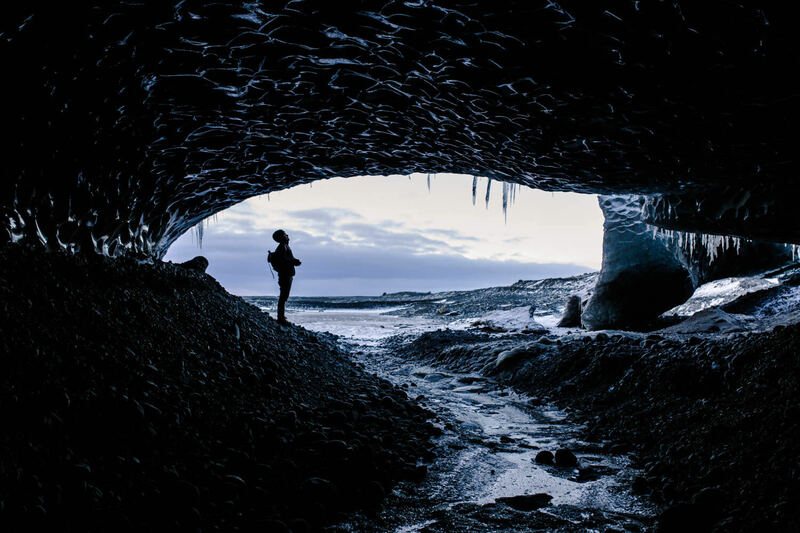 Don’t fear though, the advantage of having experienced tour guides on hand means they will know alternative caves and new discoveries for you to explore. Siggi, our tour guide was an absolute LEG-END. I would not hesitate for one moment in recommending him to show you around. If you decide to head out on one of the tours (you’d be silly not to) you’ll get dropped back off at the car park where you started. 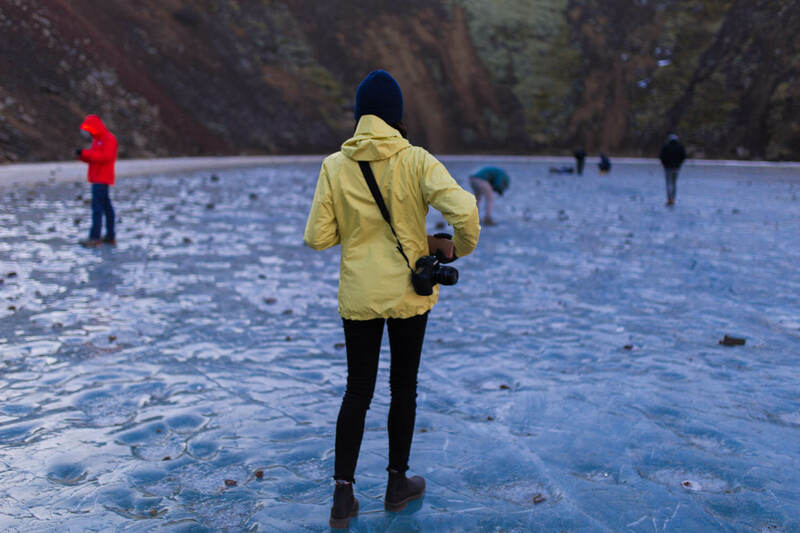 Be sure to hang around and marvel at the Glacier Lagoon (which is sadly vanishing by the minute) and the Diamond black sand beach. Top tip: The hot drinks at the car park cafe have free refills! After a very early start (a snowstorm the night before had meant we couldn’t make it up to sleep near the Glacier Lagoon car park and instead had to driving the remaining distance at 4am) and an insanely beautiful 3 hour drive through Vatnajökull National Park with Siggi, we all crashed in the carpark for an hour or two. 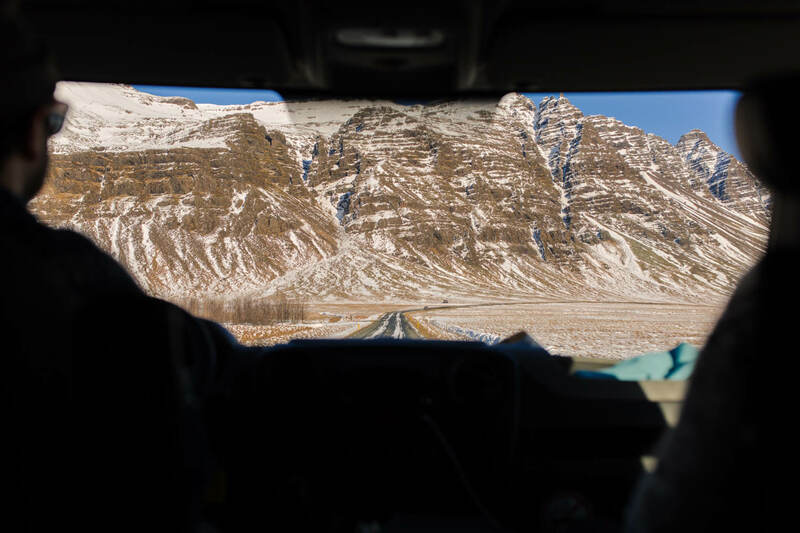 I have to say, waking up and peeking through the van curtains to see a view of the glaciers was a pretty mind blowing moment. Possibly the most beautiful place I’ve ever woken to. 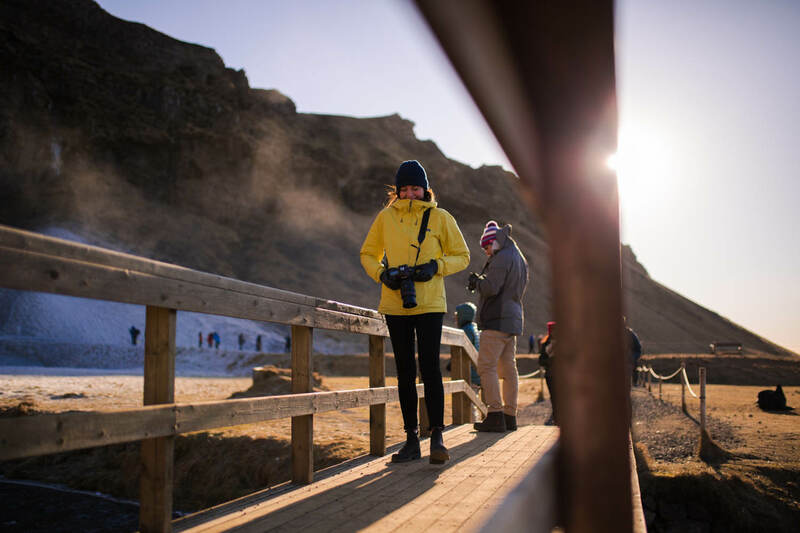 Once we had filled up our water tank at the car park cafe and tucked into a few roadside snacks we headed north one last time to check out some hot springs in Hoffen (I have pinned the location on the map). Of course these aren’t anywhere near as big as the famous Blue Lagoon but it also means there aren’t as many people. In fact we had it to our selves for most of the time! 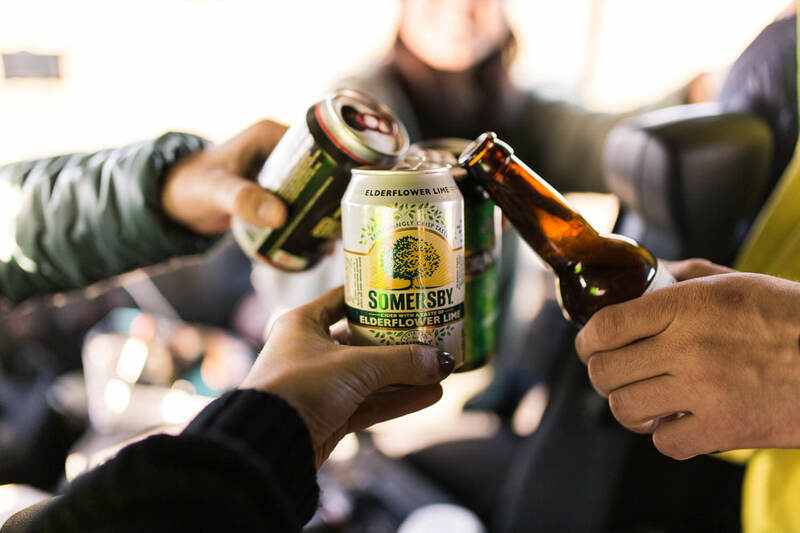 As we drove back down the coast, stopping as we desired, we came to realise there was no liquor store left open in sight but we all fancied toasting to an incredible day. 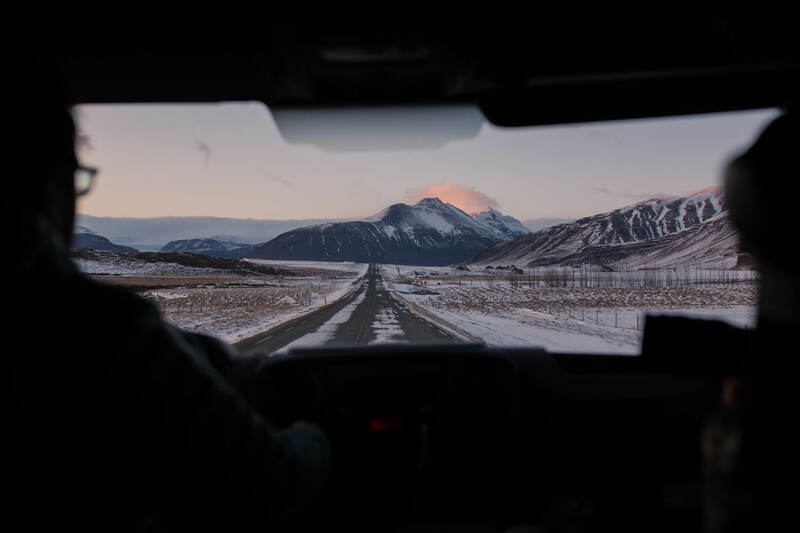 In true Iceland nature, we drove until we found lights (which is always a while) and we came across a gorgeous, very luxurious hotel – Foss Hotel. 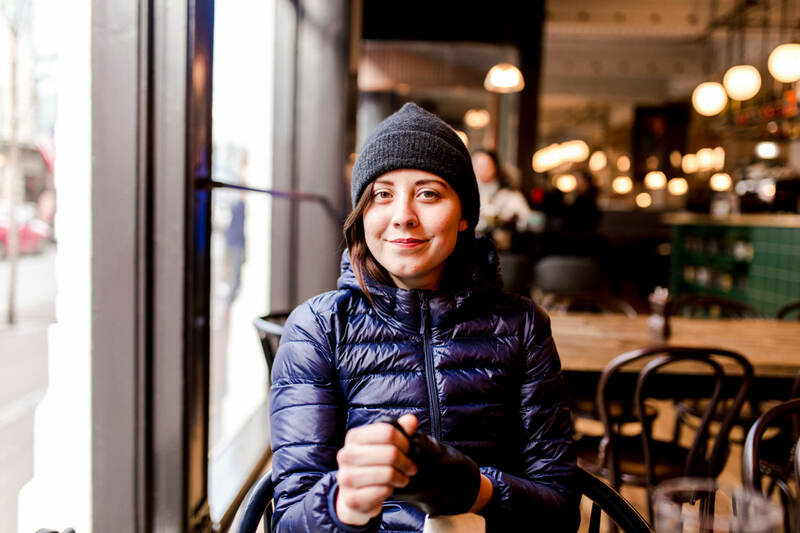 With no other option, more to their dismay, we rolled into the bar in our snow shoes and hoodies (looking like we’d stepped off an adolescent camping trip) and ordered some drinks. Top tip: The Foss hotel does happy hour on selected beers, wine and cocktails 4-6pm. You’re welcome! Otherwise it’s 1000-1300ISK for a glass of wine or 0.5L beer 1200ISK. 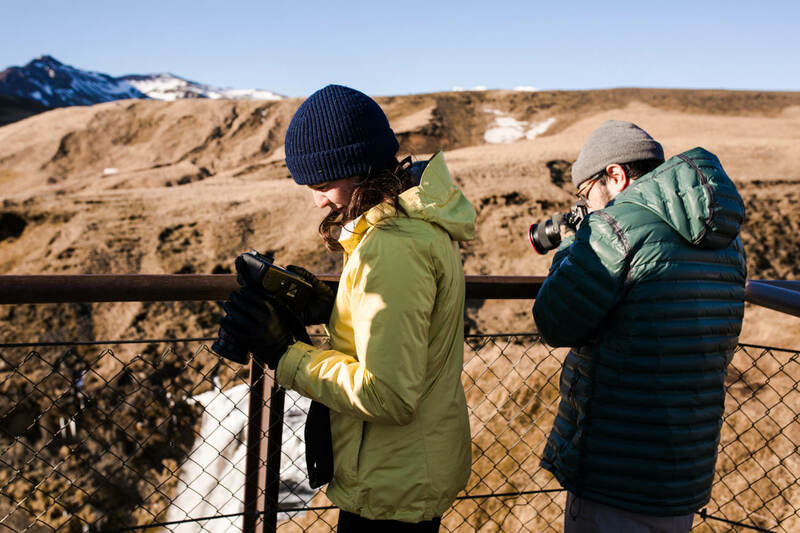 On the morning of day 4 we headed to Skaftafell visitor centre where you can embark on one of the waterfall hikes out glacier tours. Top tip: Pay 400ISK (I think it was) and get a 5 minute timed hot shower! Heaven! They also have a kitchen to wash up in. 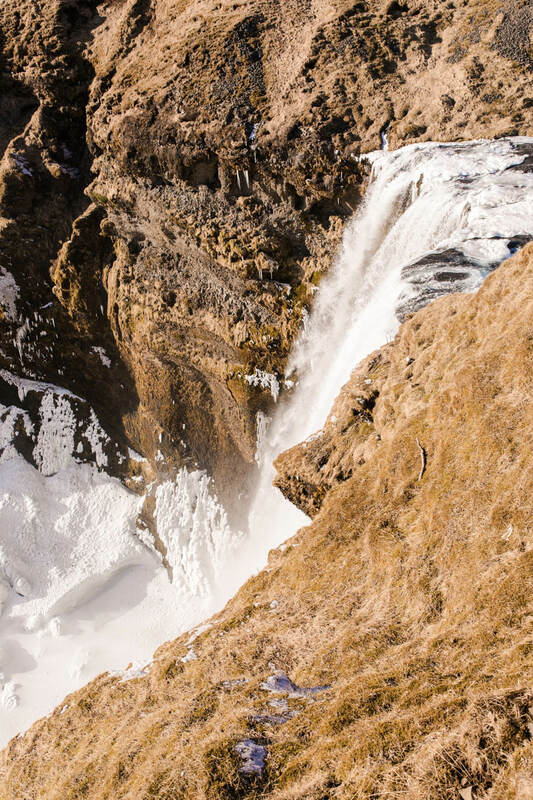 Optional morning adventure: 2km hike to Svartifoss waterfall. Obviously we were on maximum chill mode and opted for a lie in instead. Not even sorry. 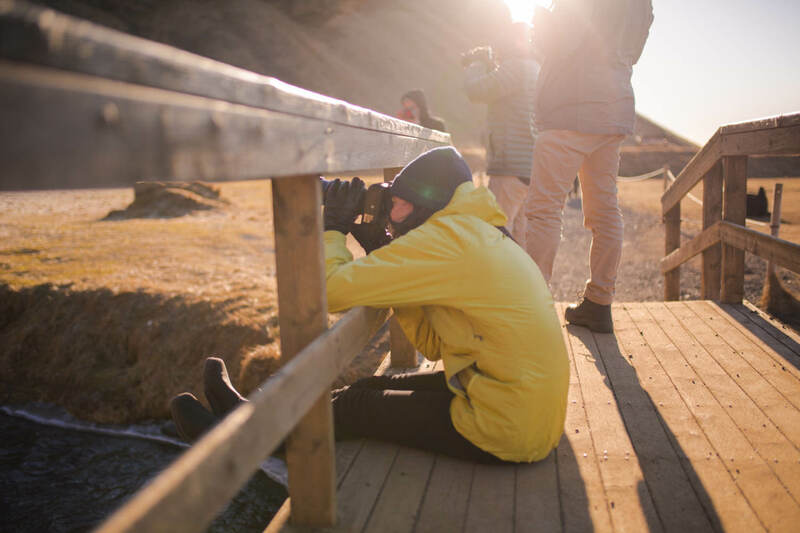 Following our morning shower we continued down the coast pulling up whenever we were tempted visually and notable spent some time at Kirkjufjara lookout with sweeping views over Reynisfjara beach. The perfect place to pick up some dinner without totally breaking the bank. There are 8-10 different vendors selling an array of cusines with communal seating to enjoy your food with friends! On our final morning before dropping the camper back and heading to the airport we ate a crummy breakfast at Jacobsen loftid in Reykjavik city centre. Think Australian breakfasts, the best coffee I had whilst on the Island cute little streets around to explore. 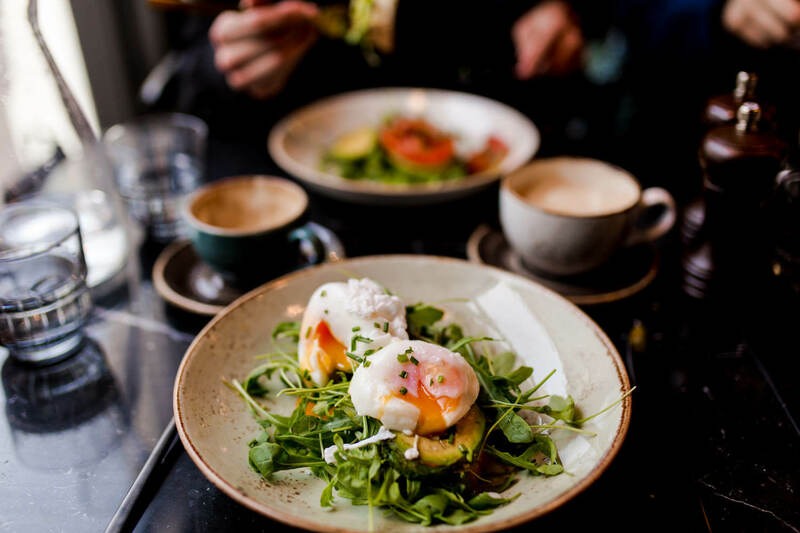 Reykjavik is a gentle ease back into civilisation and this hotspot was the perfect place to fuel up for the journey home! 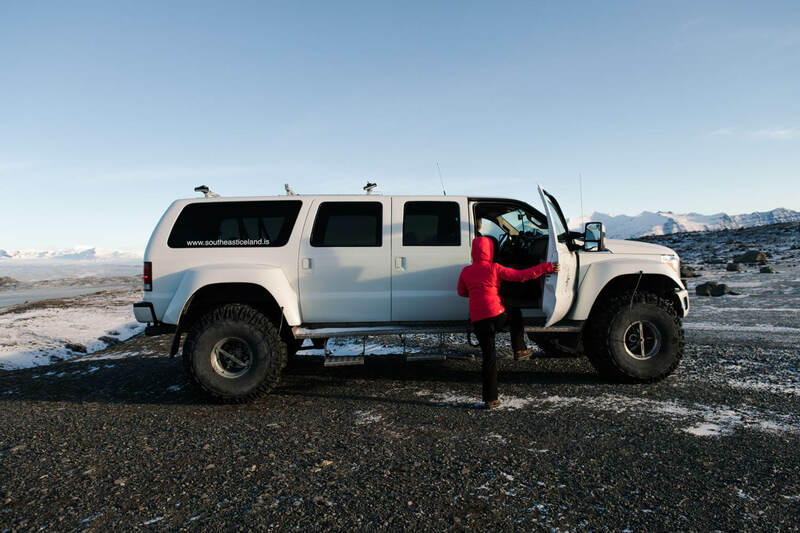 One night we had planned to drive 4 hours to sleep at the Glacier Lagoon in preparation for a sunrise Glacier Tour but a snowstorm had the visibility reduce to nothing. For safety we pulled over and instead got up at 4am to drive the remaining distance. Weather can be crazy here so try and account for that. You’re a fool if you pay for drinking water here. 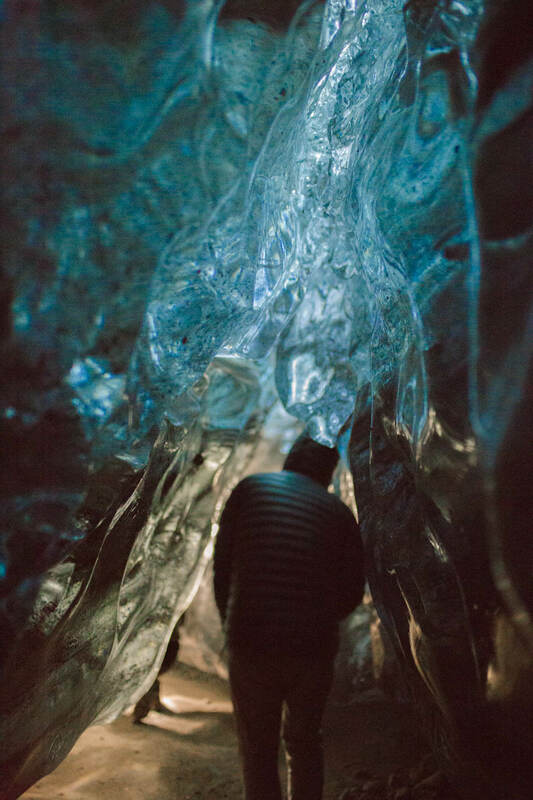 The glacial water is the purest you’ll taste. Just saying. I took a load home with me. 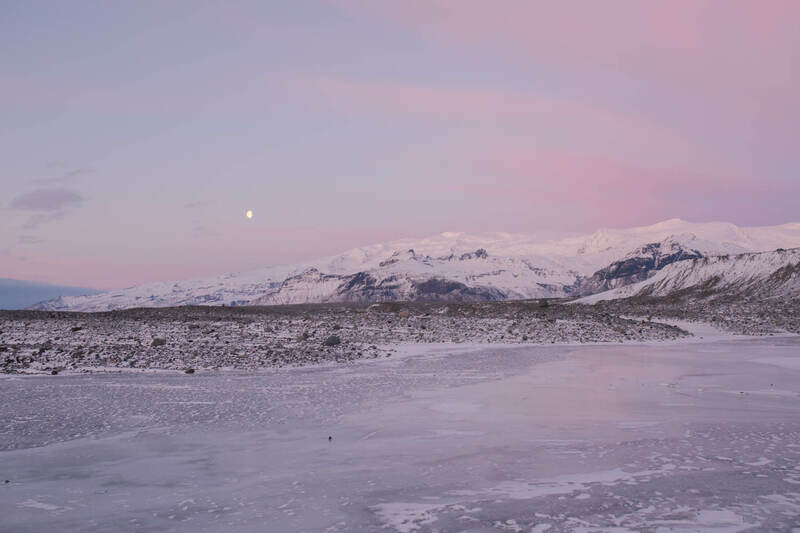 Get your hands on some funky Skyr yoghurt flavours, Iceland is the home of! Pick yourself up an iceland wool jumper to take home! These thick woollen sweaters are said to last a very long time. 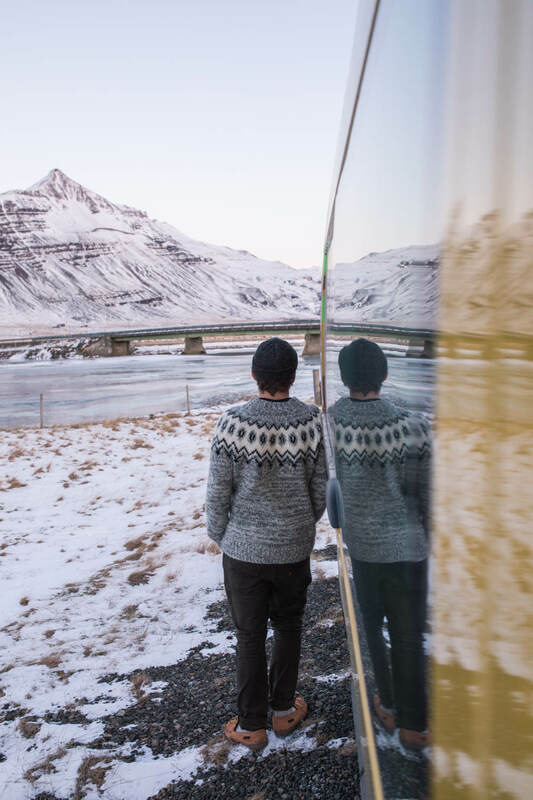 They are super cosy, breathable and showerproof, being made from the thick, bristly Icelandic wool known as lópa.